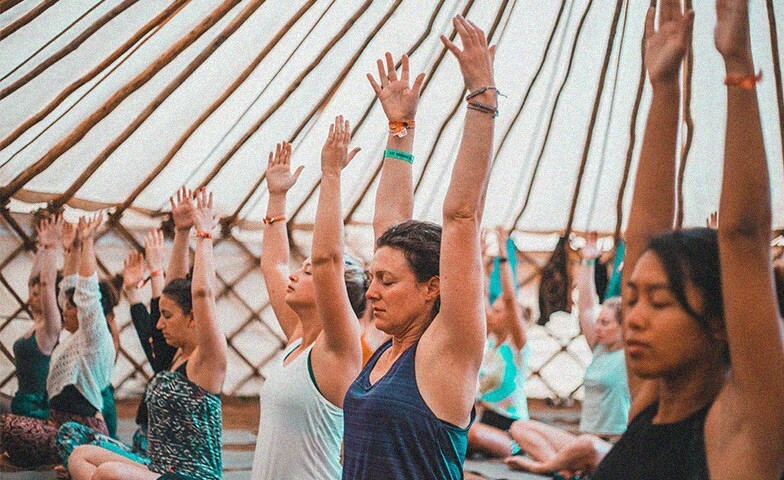 Explore a dazzling programme bursting with all things outdoor keeping you energised throughout your festival weekend. 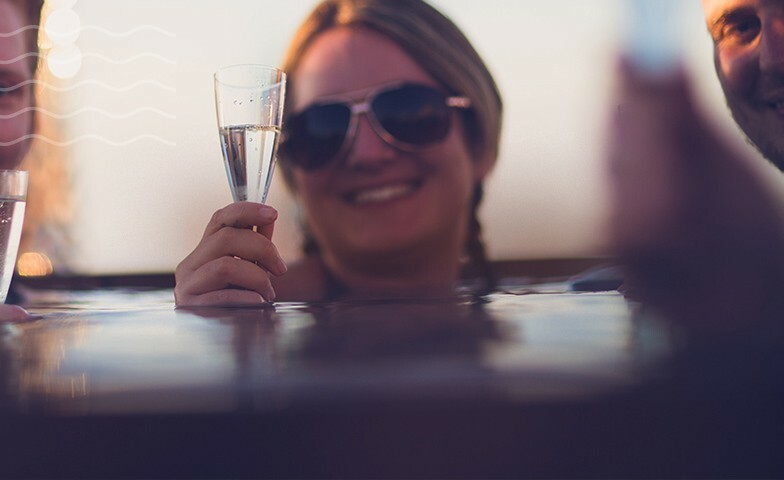 An exciting alternative for water lovers, join us as we explore sheltered smugglers coves and coastal routes perfect for every mood; from exhilarating SUP adventures to relaxing sunset paddles. 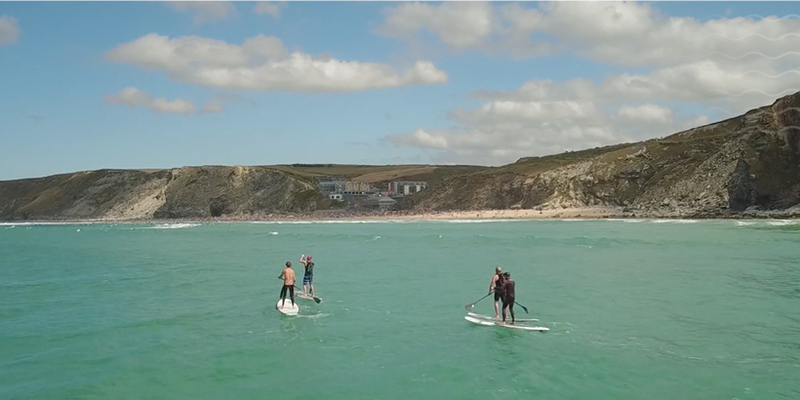 We’re blessed with a beautiful coastline in Newquay, and believe there is no better way to explore this coast, steeped in smuggling history and rich in marine life than on a stand up paddle board that is big enough to fit you and eight of your new festival buddies! More than the guaranteed laughter and gaffs, you’ll learn how to kneel and stand up paddle, perfect paddle strokes, successfully navigate the coastline, identify local marine life and execute beach launching & landing. 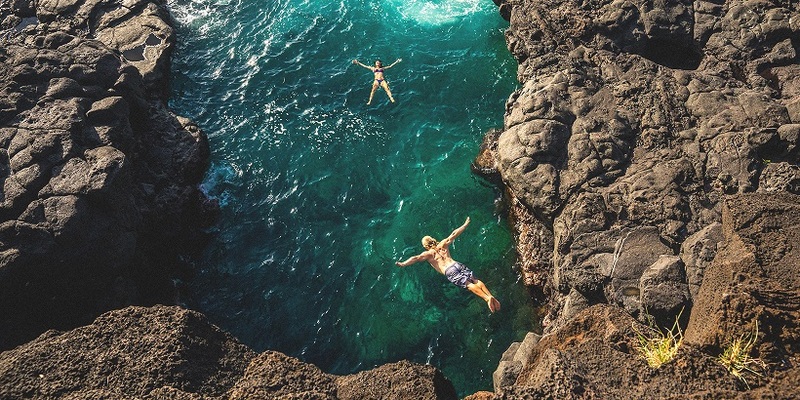 Explore the rugged Cornish coastline on an action-packed guided coasteering session, swimming into rocky coves and through exhilarating whitewater features, adventuring into hidden corners, and of course, leaping from our favourite jump spots. Discover your inner adventure whilst exploring the wild coast of Cornwall; clamber through smugglers caves, wind your way around hidden coves, discover adrenaline-pumped rapids and dare-devil cliff jumps. You’ll learn a whole range of super cool skills, some wild swimming, technical traversing (horizontal climbing), how to climb up through caves, how to negotiate sluices, natural rapids and big wash throughs. Join us on scenic sea-kayaking adventures as we glide over turquoise waters to navigate Cornwall’s beautiful coastline. Join us on our scenic sea kayaking adventures as we navigate Cornwall’s coastlines up close from sit-on-top kayaks. 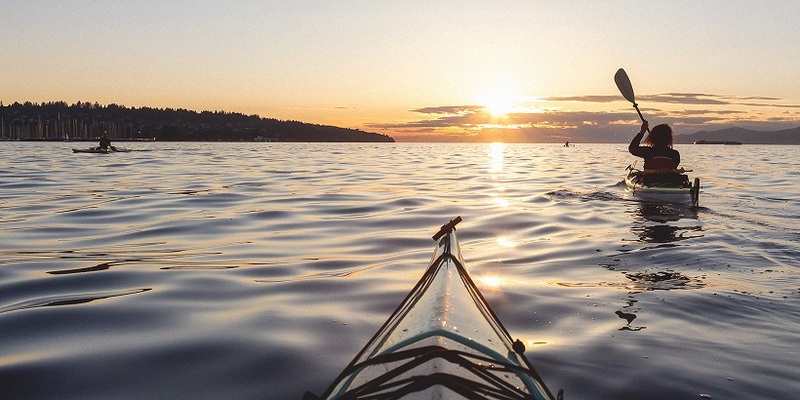 You will be taught the skills that you need to navigate the coast in a sit-on-top kayak. Once suited and kitted, your expert kayak instructor will lead you in the basics of paddle strokes, kit familiarity water safety, signals and a short warm-up before guiding you into the water. There the safari will move at the groups pace, stopping at areas of interest for chats, to up-skill and play games. 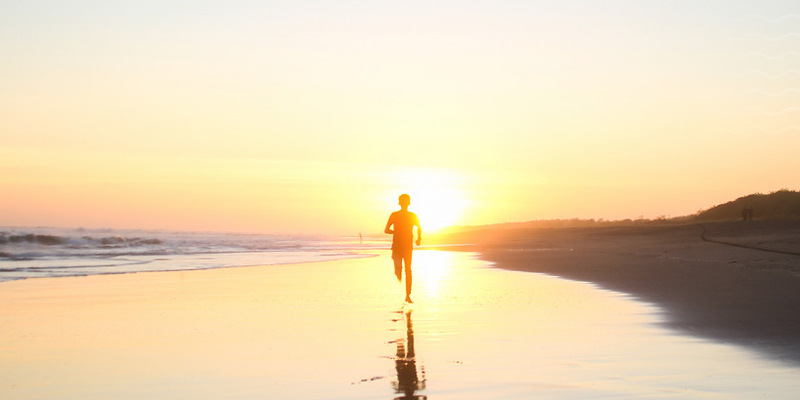 What better way to explore and immerse yourself in the wild Cornish coastline - it doesn’t matter if you walk, jog or run, there’s a home for everyone. 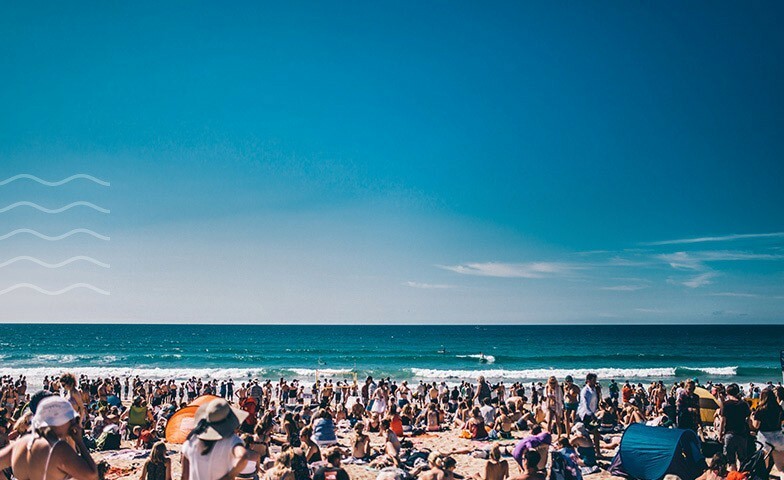 They will be taking you along the costal paths and beaches, this is no races it’s a time to take in the breath taking view the Cornish coast has to offer ending with beach yoga and a mini beach clean. • Don’t forget your trainers and something comfortable to run in!